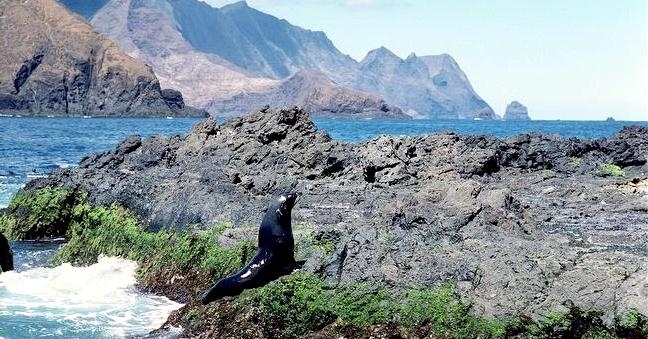 Considered to be extinct until it was rediscovered in 1965, the Juan Fernandez Fur Seal occupies isolated rocks and islets on the Juan Fernandez and San Felix/San Ambrosio island groups off the Chilean coast. 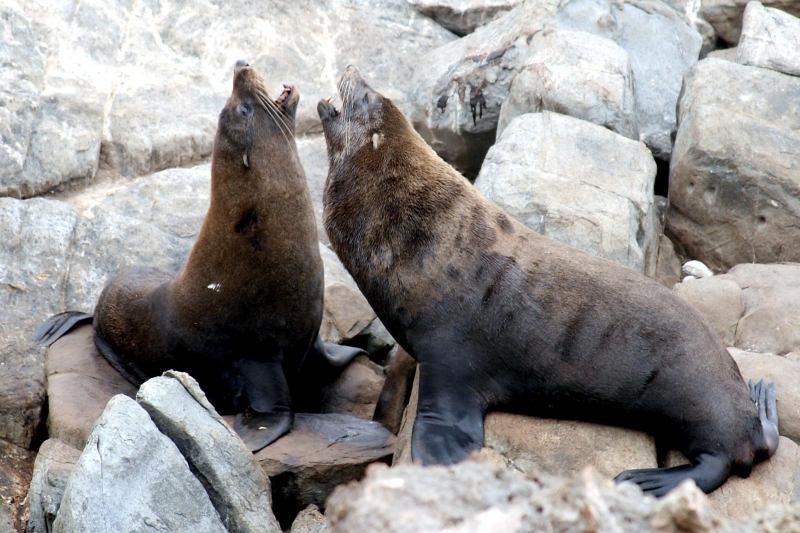 Adult & juvenile males have also been seen hauling out during the autumn & winter at Punta San Juan on the Chilean mainland, individuals also possibly wandering as far north as the Peruvian coast. 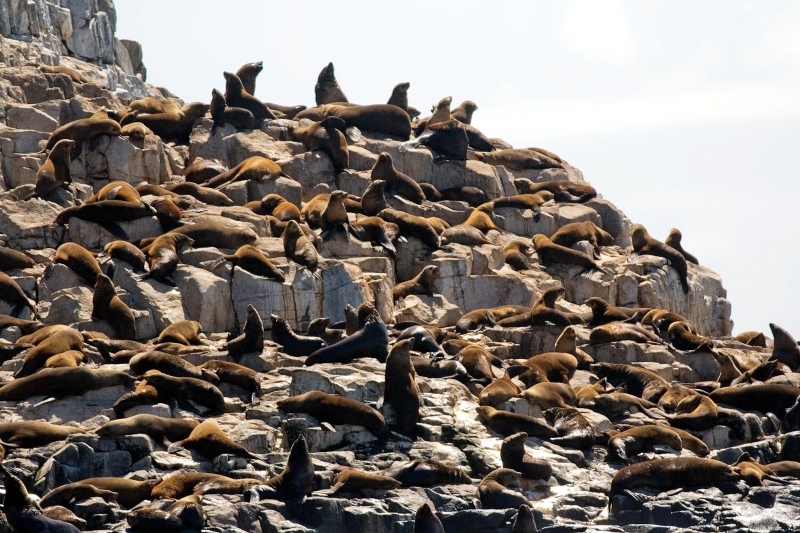 The total population is currently estimated at 12,000. 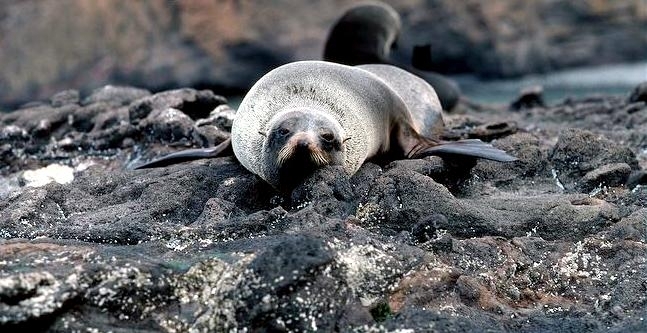 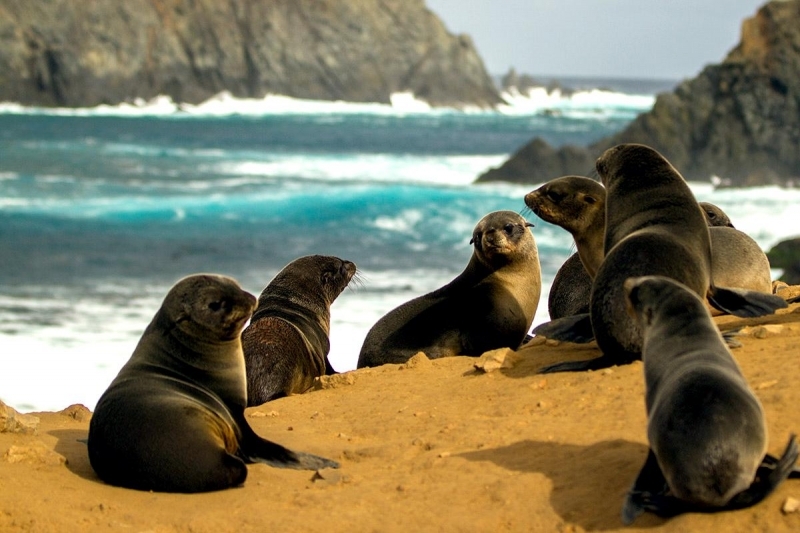 According to the records of the first sailors to encounter these seals at the Juan Fernandez Islands, they were very abundant and numbered possibly in the millions. 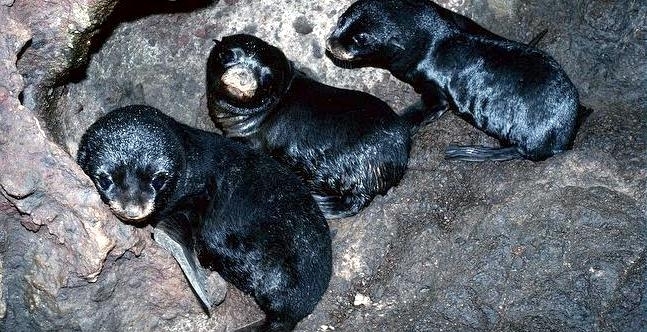 However the species was very heavily exploited for its pelt, blubber, meat and oil by commercial sealers from the 17th to 19th centuries and by the beginning of the 20th century, the Juan Fernandez Fur Seal was believed to be extinct. 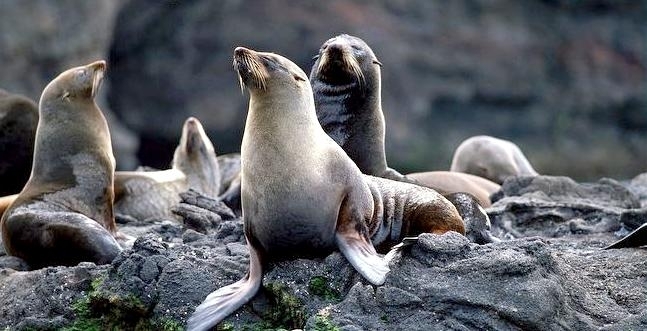 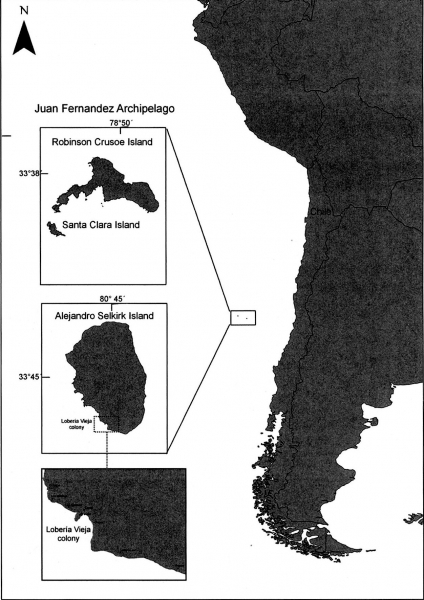 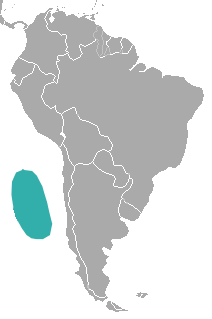 After rediscovery, the species was given total protection by national Chilean legislation in 1978. 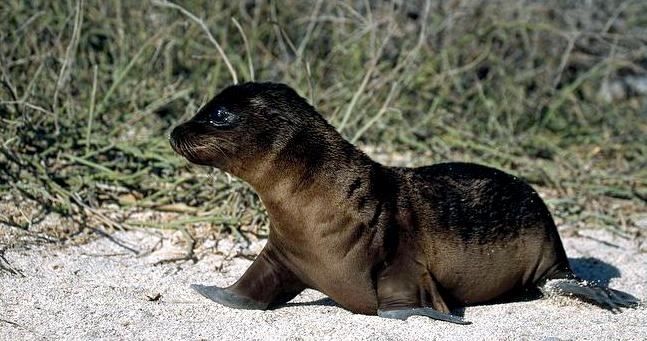 The species is listed as Near Threatened on the IUCN Red List due to its limited population size and the fact that the species’ low genetic diversity may cause problems and is also listed as an Appendix II species under CITES. 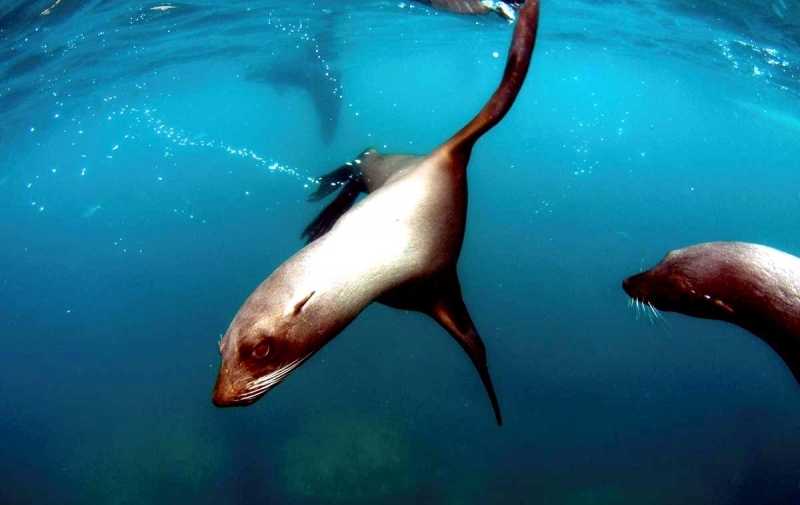 The IUCN/SSC Specialist group has recommended that research be carried out into the diet of the species in order to determine any potential competition with fisheries. 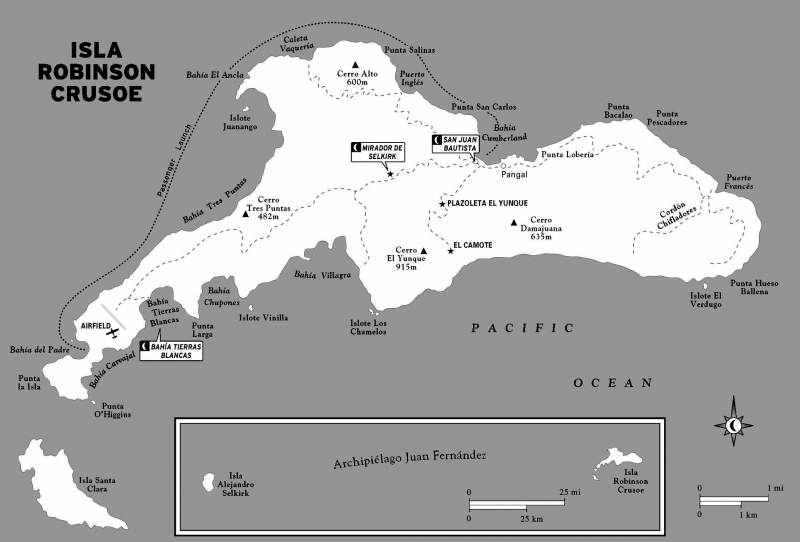 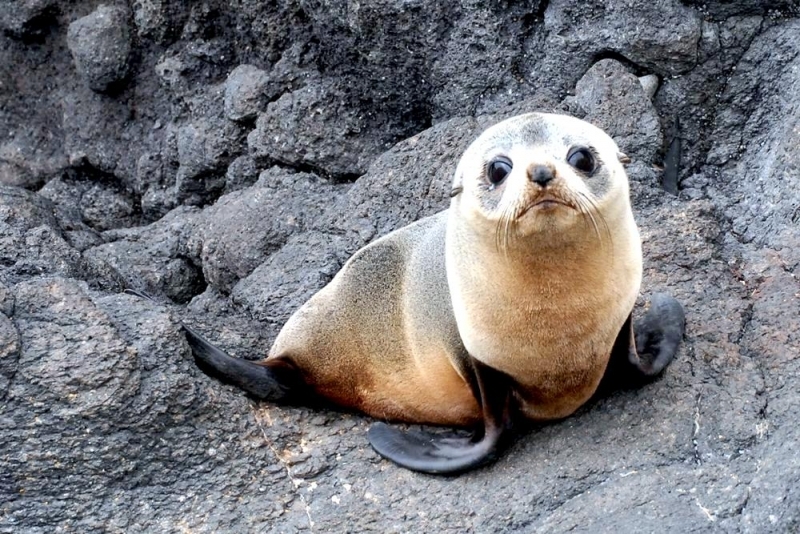 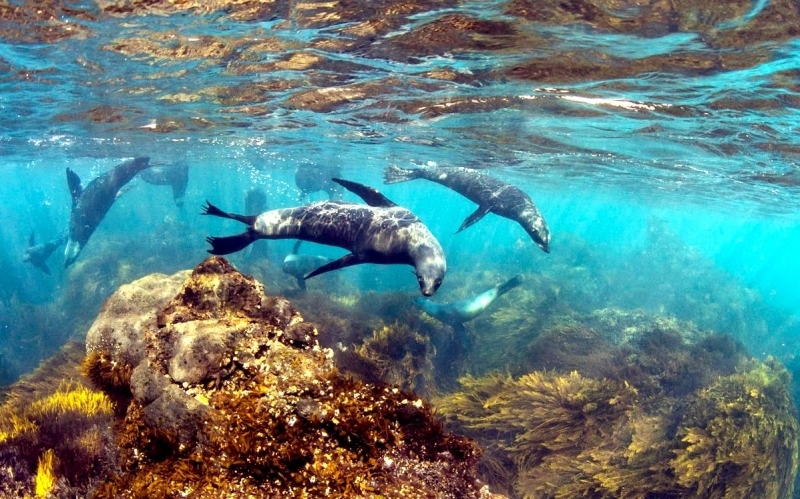 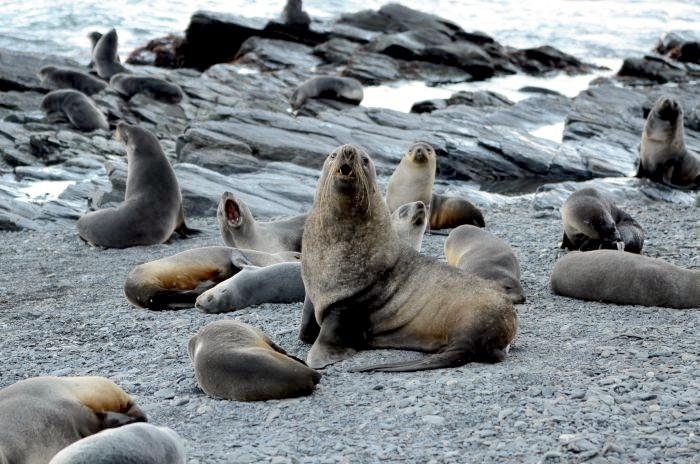 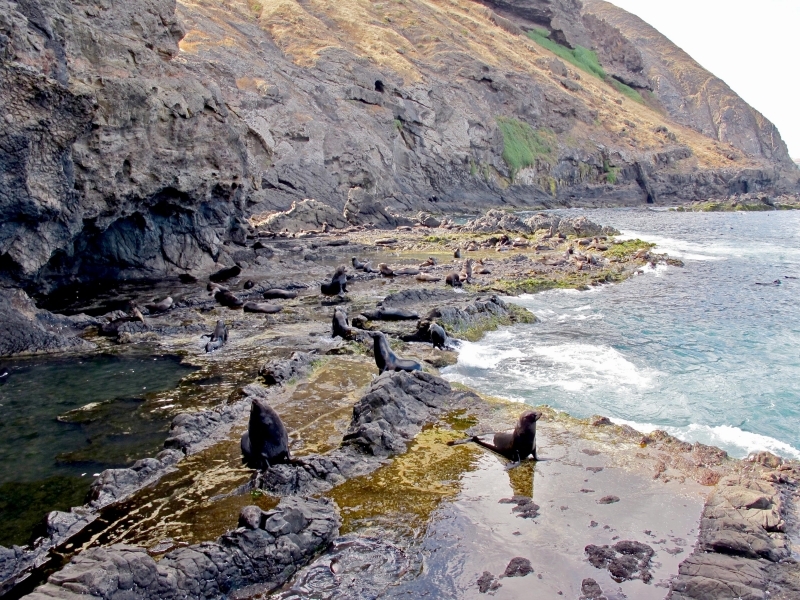 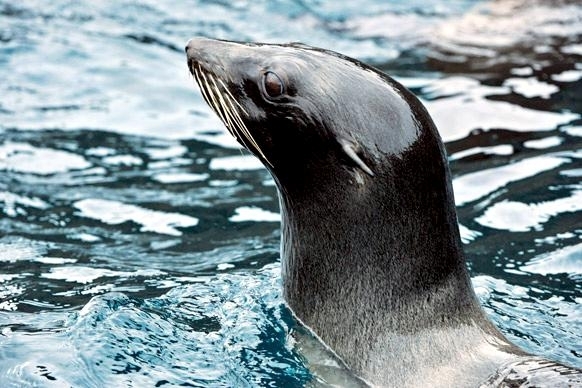 There have been reports of fishermen on Alejandro Selkirk Island using the Juan Fernandez Fur Seal as bait as well as for food and as a barter commodity. 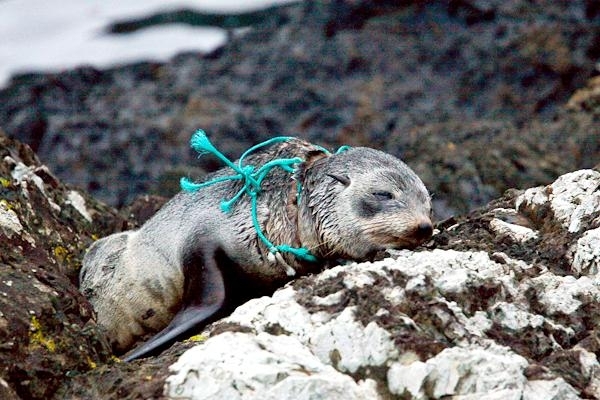 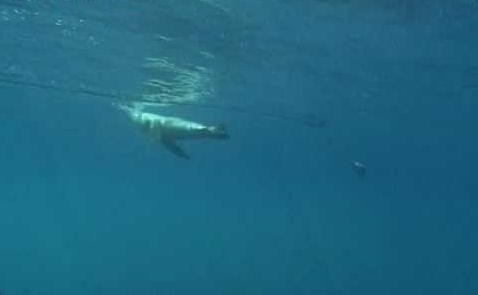 There have been occasional reports of entanglement in fishing nets, while the occurrence of Juan Fernandez Fur Seals with plastic wrapped around their necks has often been reported. 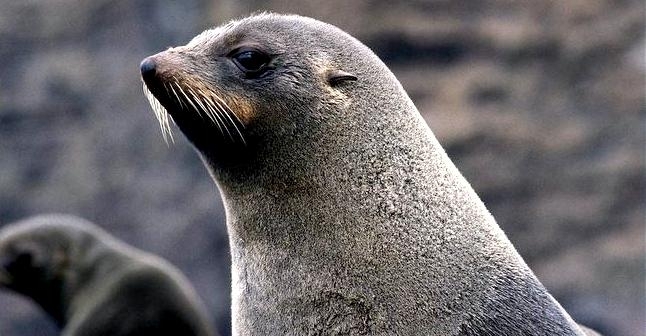 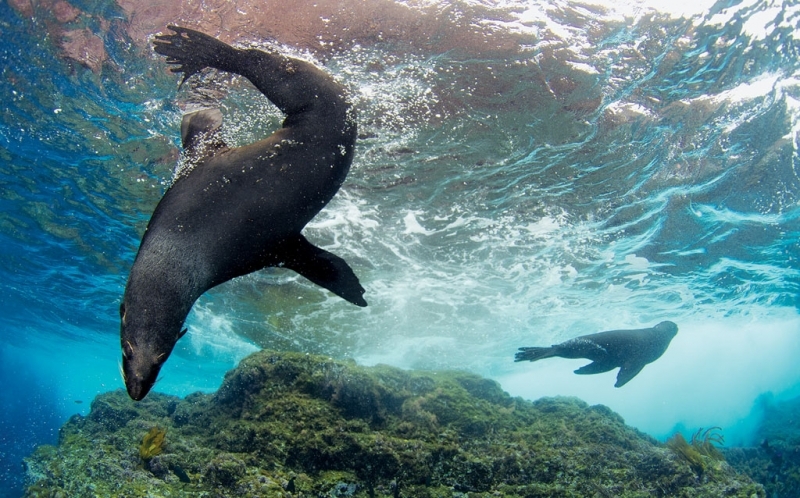 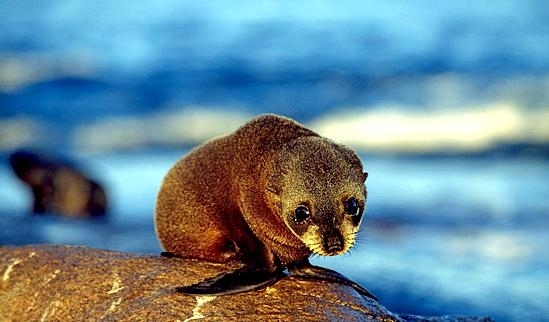 There has not been a great deal of research carried out into the lifestyle and habits of the Juan Fernandez Fur Seal. 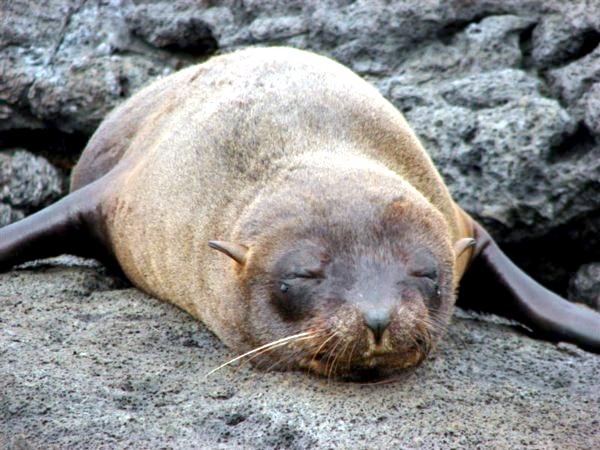 However a few key studies have recently shown that various interesting differences exist between the breeding habits of Juan Fernandez Fur Seals and other fur seals due to the high temperatures and the nature of the species’ habitat. 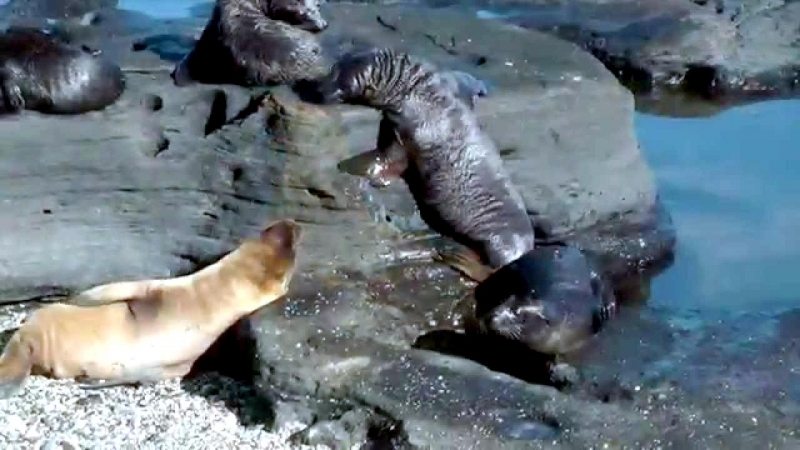 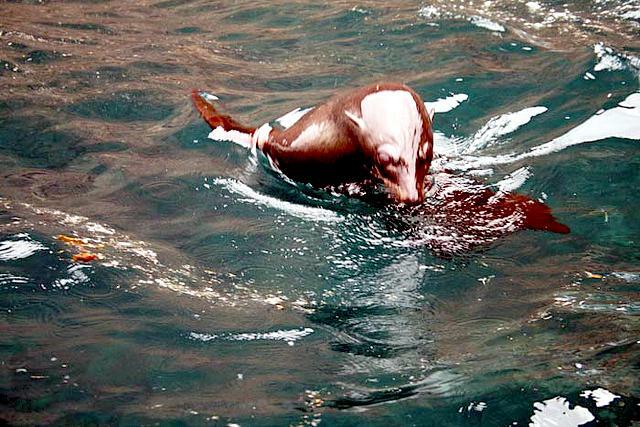 Pupping usually occurs in November-December and breeding normally takes place at rocky sites, the adult males fighting for territory, not only on land as is typical for fur seals, but also on the shoreline and in the water. 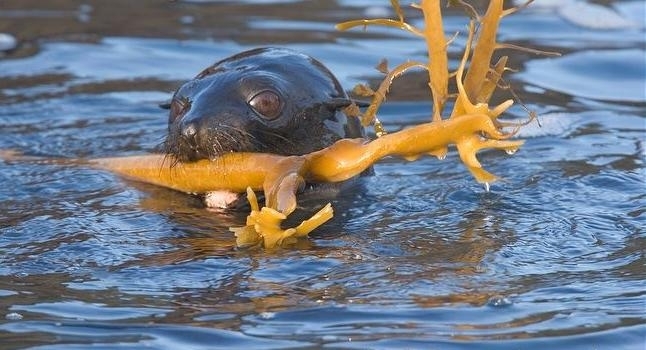 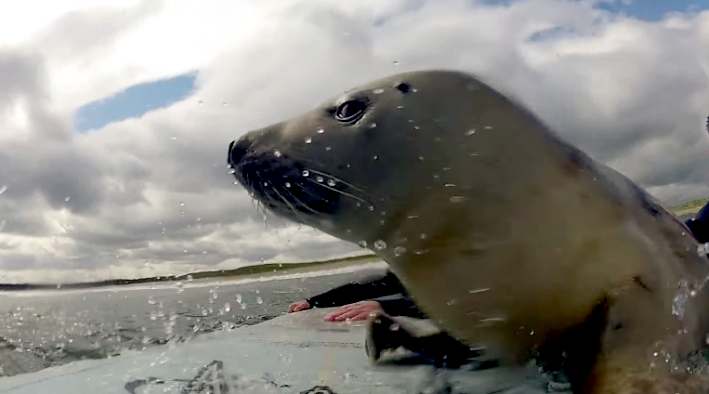 The use of completely aquatic territories is an important reproductive strategy in this species that has yet to be seen in other eared seals. 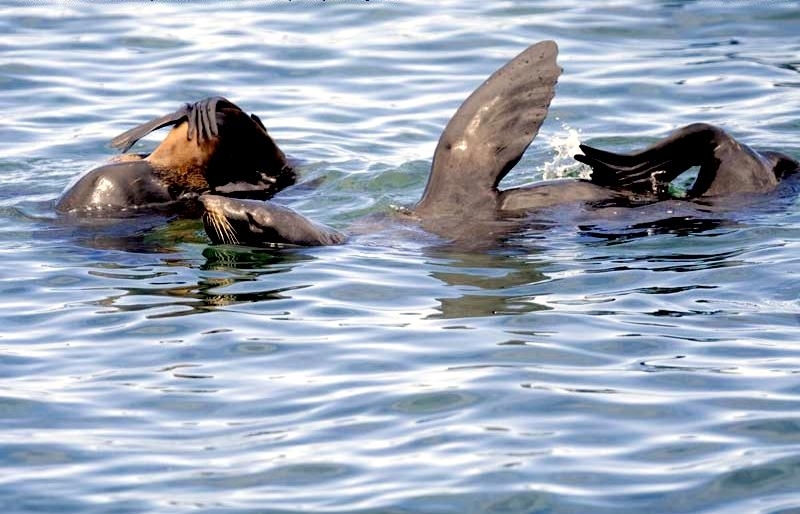 Most females move down to the shoreline and into the water in order to cool down during the hottest parts of the day. 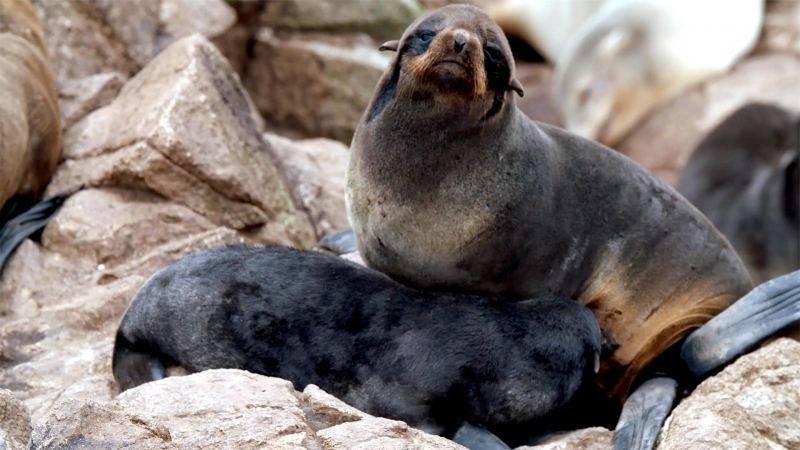 Mating which usually takes place about a week after the pup is born, can also occur at this time. 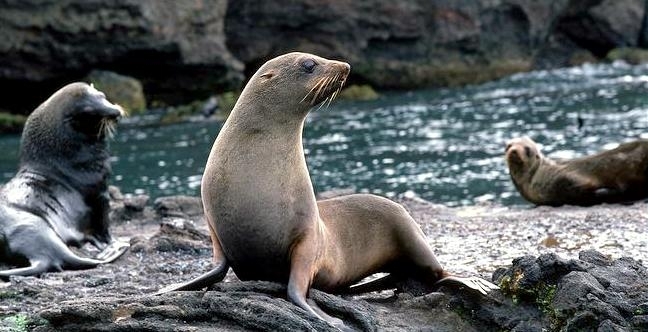 Males on land often abandon their territories for an average of 45 minutes in order to enter the sea and cool down. 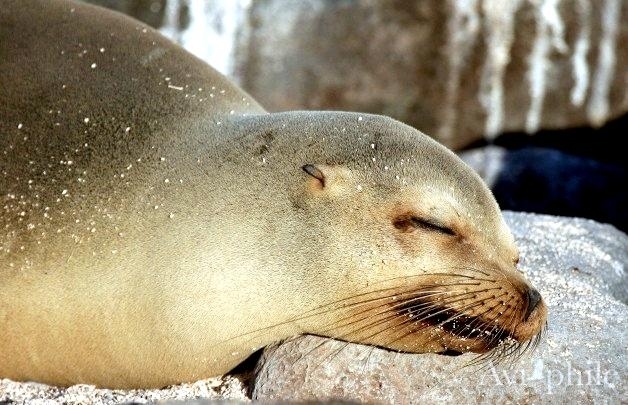 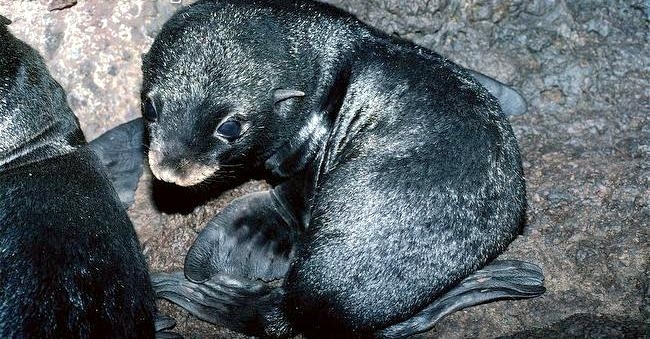 The mother leaves her pup in order to feed at sea about 11 days after giving birth, longer than for other fur seal species and for the next 7-10 months she alternates periods of an average of 5 days nursing her pup on land with feeding trips lasting an average of 12 days. 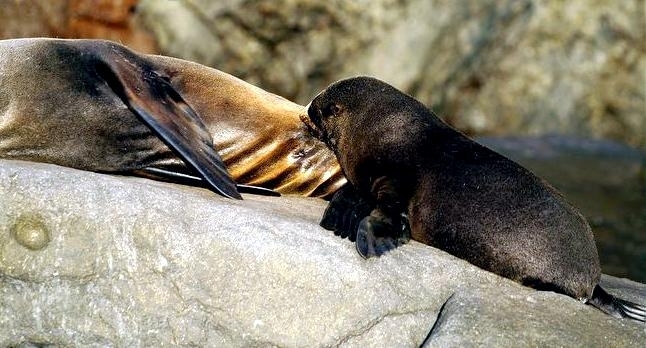 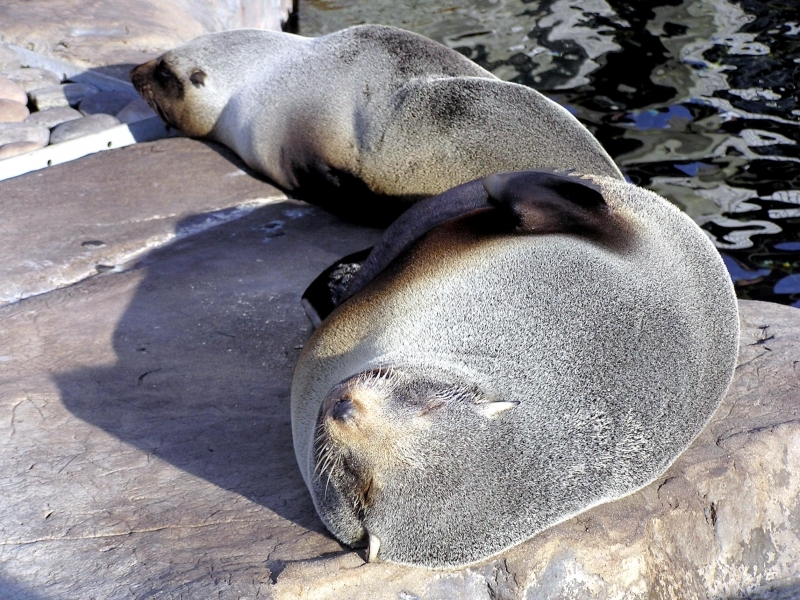 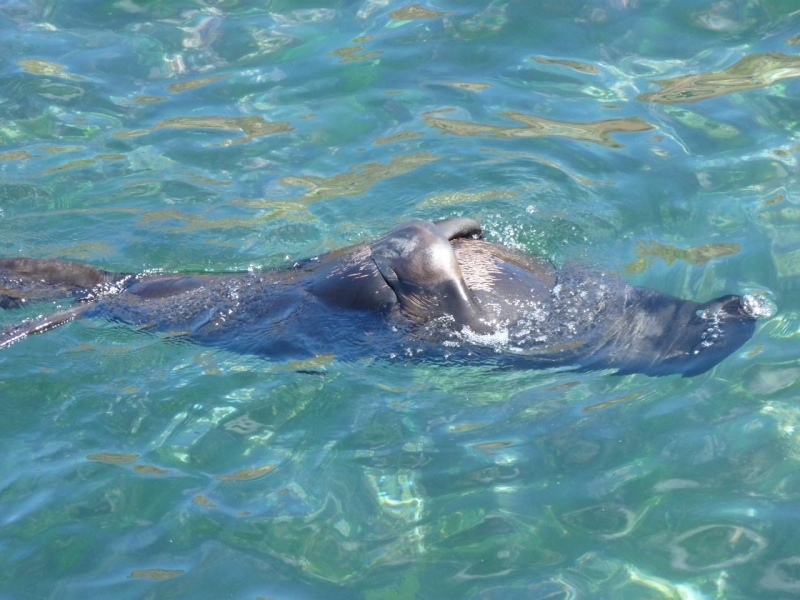 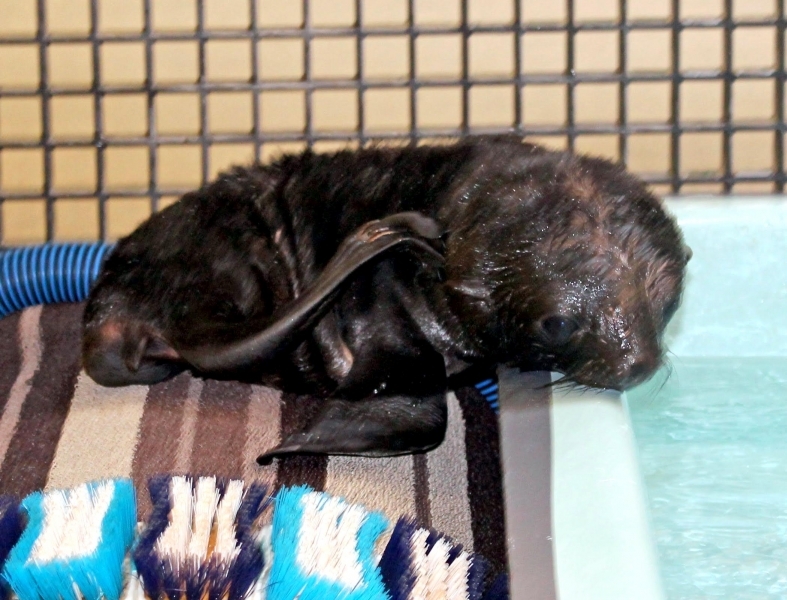 The lengths of these feeding trips are exceptionally long for a fur seal. 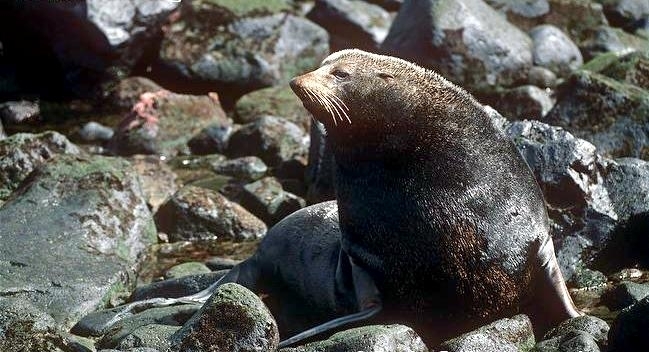 The fur of the Juan Fernandez Fur Seal is black-brown, lighter on the front. 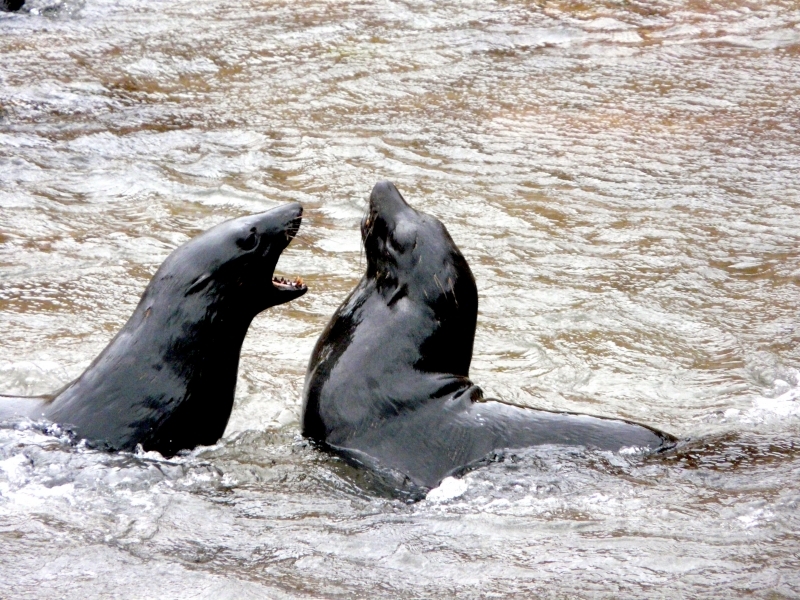 The necks & fore-flippers of the males are usually scarred from fighting. 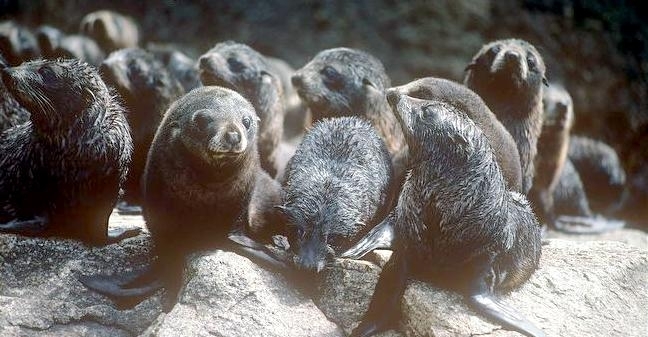 The Juan Fernandez Fur Seal has a fairly narrow range of prey species, probably due more to availability rather than specialization and their main prey being myctophid & squid. 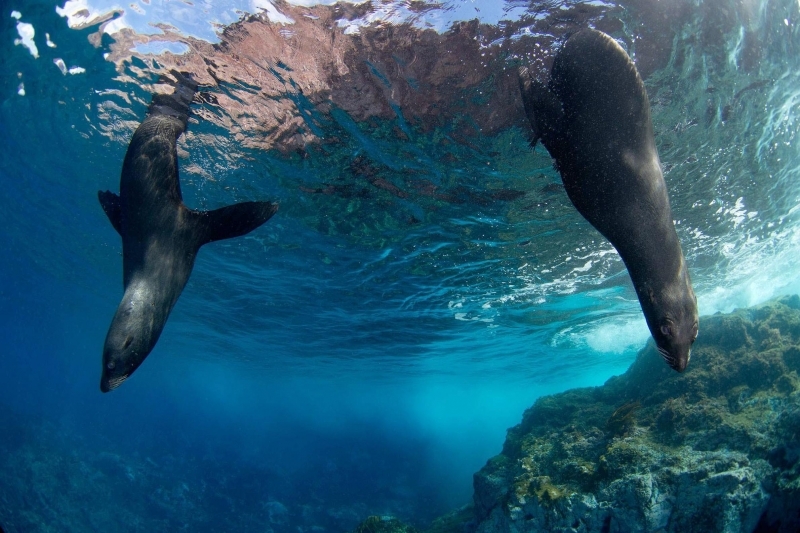 The individuals of this species do not dive very deeply, one study showing that females dive to an average of only 12.3 meters while feeding. 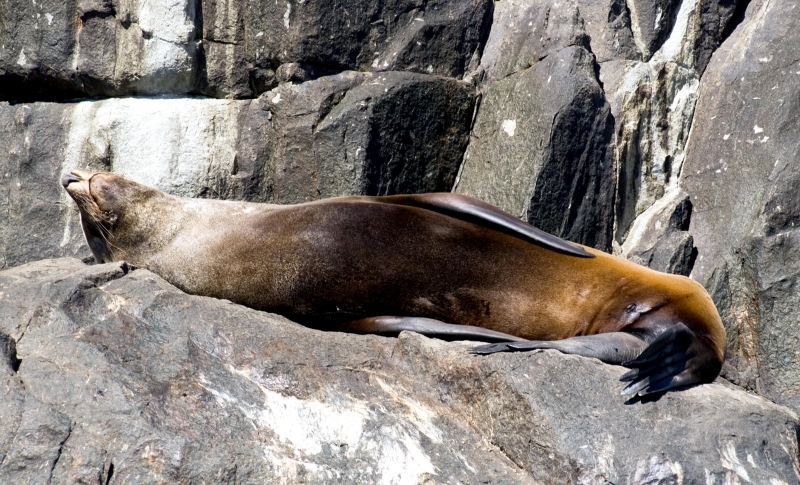 Sharks and Killer Whales are known to prey on Juan Fernandez Fur Seals. 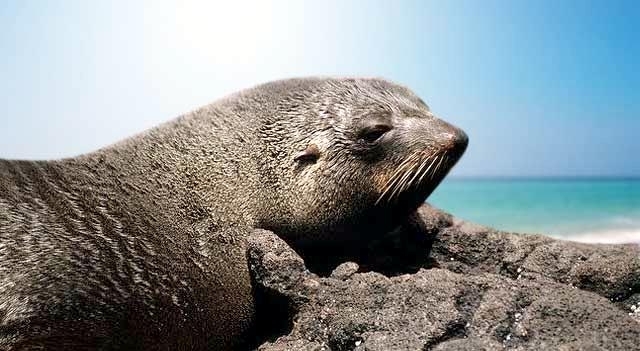 Adult males measure 1.5-2.1 meters in length and weigh about 140 kilograms, while adult females normally measure about 1.4 meters in length and weigh about 50 kilograms. 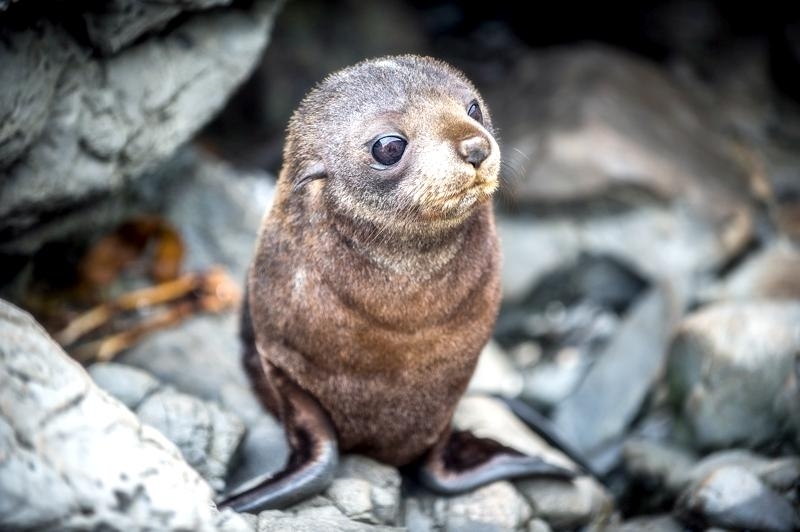 Pups are born 65-70 centimeters in length and weigh 6-7 kilograms, male pups being slightly longer and heavier than female pups. 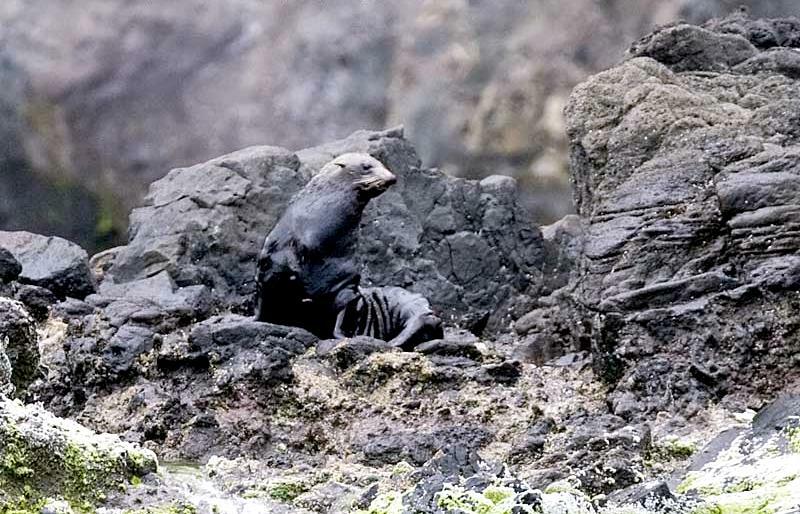 It is thought that males may live over 13 years while females may live up to 23 years.